Lets back up a couple steps before any of us fall off the celebration wagon and go bonkers hearing this news. If we put that quote into context and refer to the question asked above it in that interview, the answer makes more sense, “I see the definition of RPG as being pretty broad. 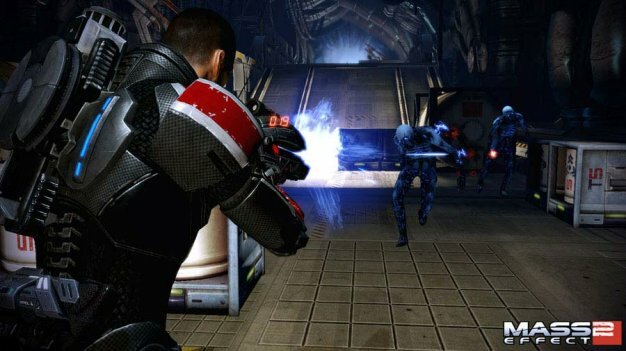 We look at Mass Effect, I say, and I believe, that it’s as much a shooter as it is an RPG. When you play it, it really feels that way. So I’d say we’re approaching other genres by expanding what the definition of RPG is, and blending in features of other genres to enrich our game experiences and drawing in new fans,” Muzyka explained. The reality of the news here seems to be that BioWare is potentially looking to expand their notion of RPG into a first-person perspective much in the same grain as Fallout 3 or Borderlands. Needless to say we’re not expecting BioWare to come up with the next Team Fortress or even the next Call of Duty game. Regardless, the idea of BioWare putting together something to rival Fallout 3 is most definitely an exciting prospect.